Tesco is on track to deliver £60 million of synergies from its take over of Booker, the retailer said in its results for the first half. The retailer’s Magor and Middleton distribution centres are now being used by Booker to support growth, use spare capacity and enable the group to reduce the lead time on orders for Booker customers. 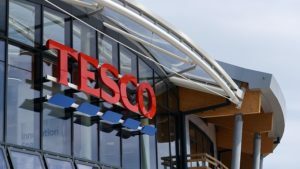 So far, said Tesco: “We have already delivered £16m of the synergies identified in the Booker merger process and are well on track to deliver at least £60m in the full year. Suppliers are benefiting from access to our combined sales growth and we have now completed negotiations of new terms with our top 60 suppliers. In addition, we have consolidated a number of core business services across Tesco UK and Booker. Group operating profit rose 24.4 per cent to £933m in the first half, while group sales were up 12.8 per cent to £28.3 billion.